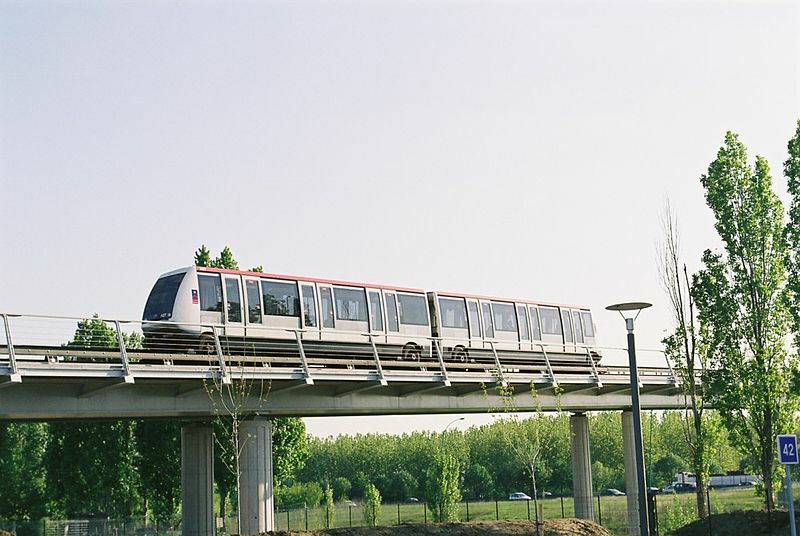 The Toulouse system after the opening of tram line T2 to Toulouse Airport. Horse–powered tramway: 31 July 1887 - 1910. 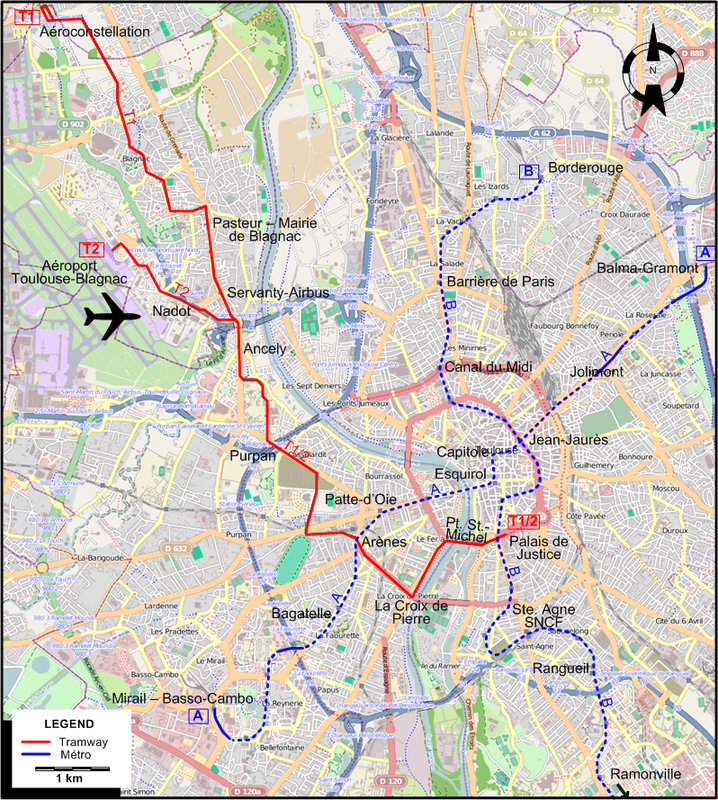 Electric tramway (first generation): 7 May 1906 - 7 July 1957. Electric tramway (second generation): 11 Dec. 2010 - today. Metro: 26 June 1993 - today. Dietrich, M. "Les anciens tramways de Toulouse", Connaissance du Rail, Feb.-March 2010 (346-347), p.16-25. 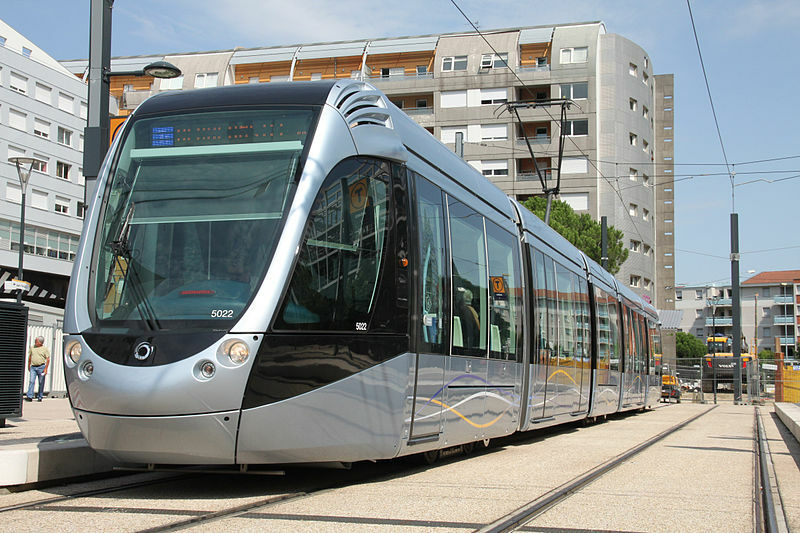 "Systems Factfile No.77 - Toulouse, France", Tramways & Urban Transit, Feb. 2014 (77: 914), p.81-85. "The Tramways of Toulouse", The Modern Tramway, May 1954 (17: 197), p.95-96.